Are These Two Drugs Going To Determine Bristol-Myers Squibb’s Future? Bristol Myers Squibb’s (NYSE:BMY) stock has had an eventful few years. It has largely fluctuated depending on how its key oncology drugs have done in clinical trials, and the company’s near- and intermediate-term outlook will primarily depend on two drugs in particular – Opdivo and Empliciti. 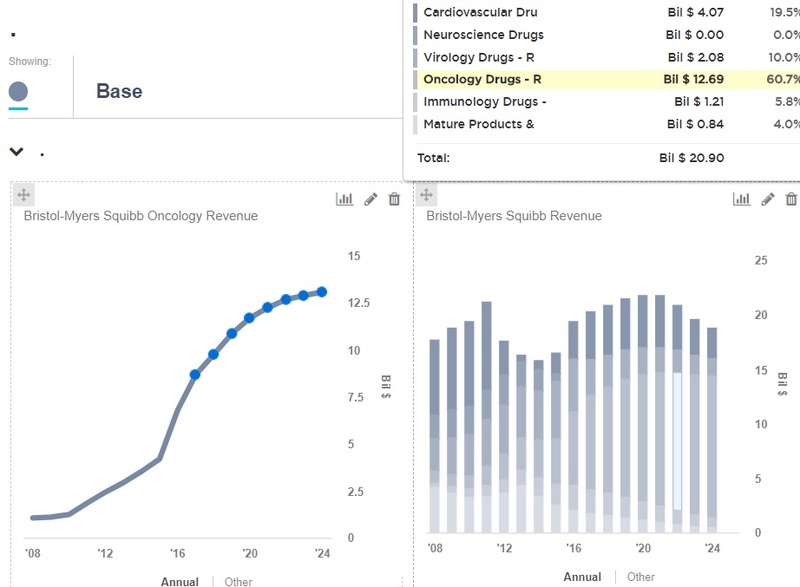 Take a look at our interactive breakdown of Bristol Myers Squibb’s business which shows how Bristol-Myers Squibb is highly dependent on these two oncology drugs. Our price estimate for Bristol-Myers Squibb stands at $54, which is around 10% below the current market price. We estimate that Bristol-Myers Squibb’s oncology revenue will grow to nearly $12.7 billion by 2022, up from merely $3.5 billion in 2014. As a percentage of Bristol-Myers Squibb’s total revenue, we forecast that oncology drugs will reach a massive 60% by 2022, up from 22% in 2014. This growth will be driven by the ramp up in sales of Opdivo and Empliciti. We forecast these two drugs to account for 75% of Bristol-Myers Squibb’s oncology revenue in 2022, and nearly 40% of the company’s total revenue. Needless to say, Bristol-Myers Squibb’s future is highly tied to how these drugs perform. 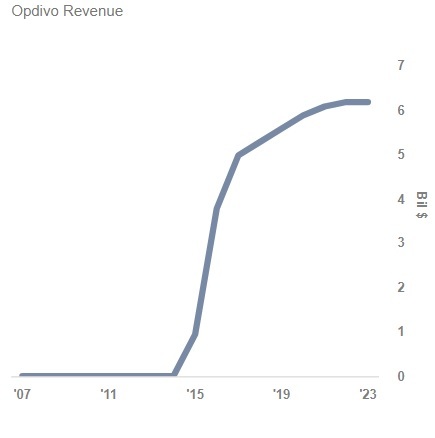 From almost nothing in 2014, Opdivo’s revenue is expected to reach over $6 billion by 2022. Opdivo can leverage the fact that rival drug Keytruda’s potential EU approval in lung cancer has been delayed. We note that Bristol Myers Squibb’s stock is sensitive to Opdivo’s performance. For instance, in 2016 the stock fell when Opdivo failed a key trial, and earlier in 2017, the stock fell again when a similar drug from AstraZeneca failed a trial that was deemed important for Opdivo’s long term growth. 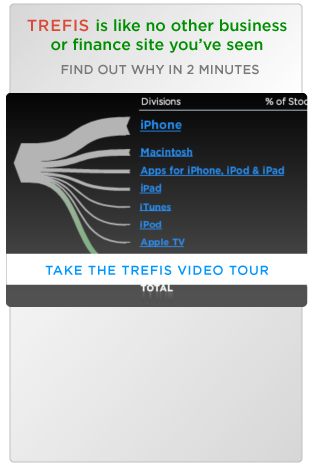 Therefore, any meaningful change in sales trajectory for Opdivo can impact the company’s stock significantly. 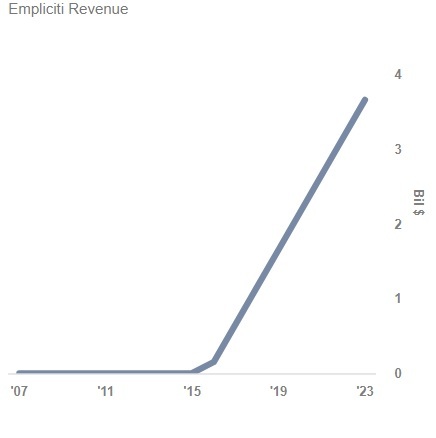 From nearly $150 million in 2016, we expect Empliciti’s revenue to reach over $3 billion by 2022. Empliciti will benefit from limited competition as there is only one other immuno-oncology drug in the market for multiple myeloma – Darzalex. However, with just 114K new cases of multiple myeloma diagnosed in 2012,it is one of the smallest subtypes of cancer. Therefore, Bristol-Myers Squibb will have to be efficient in reaching as many patients as possible.